I did mention that I was a sucker for museums right? Okay, glad that you remember that. 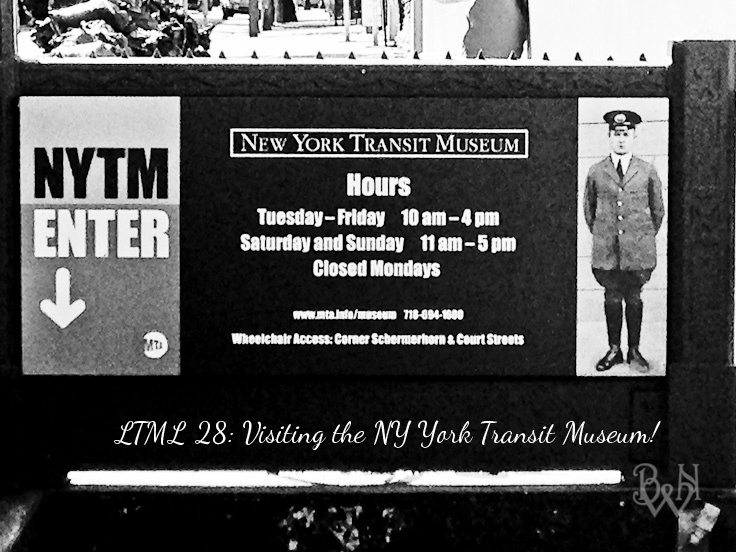 Well, another spot that we always walk by, but never seem to go into is the New York Transit Museum. This week of: Life Through My Lens, I take my family on a subway adventure ride! I think I have tried to take the kids here at least a few times this year, and then finally I said to myself I’ll just get them packed up and ready to go and tell them when we get there. That worked! Everyone was excited and I love seeing their faces when we headed to this subway station! New York Transit Museum is the largest museum in the country that is dedicated to urban transportation history! I love living in a city with so much history and culture! This museum focuses on the development of the greater New York Metropolitan area. Housed underground in a 1936 IND subway line under Court Street (downtown Brooklyn), it’s amazing how so much history is stored underground! This museum is the perfect spot to take children! They are able to see NYC transit history and turnstiles that many New Yorker’s remember using before they were retired. 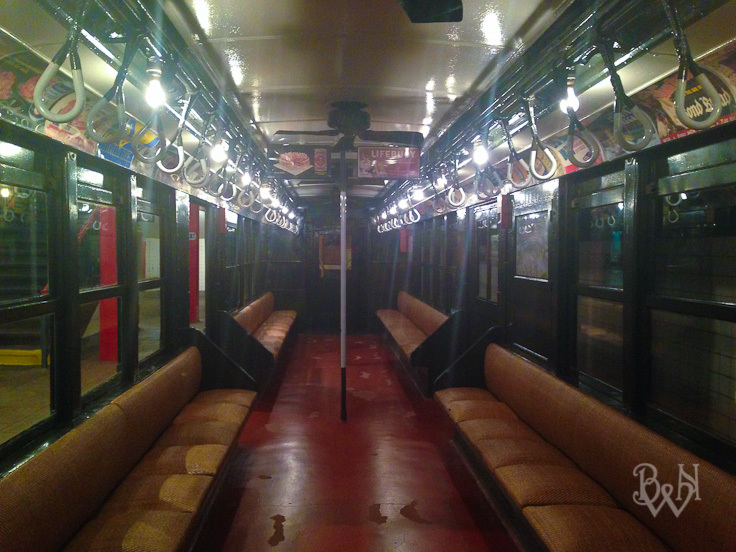 The best part of the museum is to walk through old subway cars from the past! I think they had the right idea a long time ago when they had padded seats! That’s Zee playing around in the car. I think this car was from the 1930s-40s. 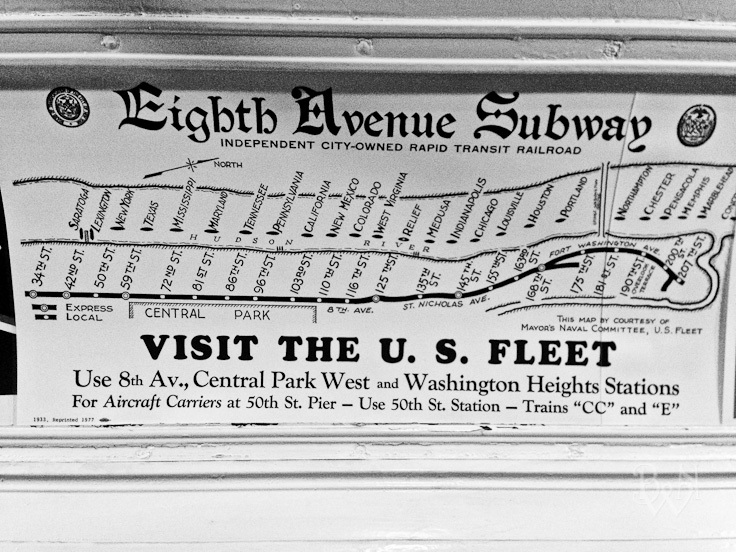 Here we can see a list of stops on the Eight Avenue Line. Also, the historian in me loves to see the advertisement of the past. There were a lot of soap advertisements in these subway cars! Over time, we are able to see how the subway cars has changed as time went on. The best part is that you were able to move through them, sit in them and experience them! There is a movie / art room here as well (great for classes). 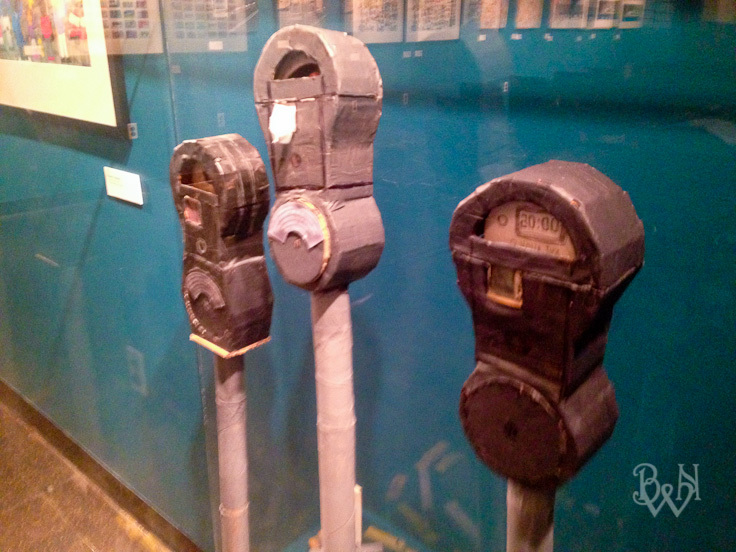 I had to take a picture of these since the New York Parking Meters are retired and we use something else now. My daughter remembers these, and sadly we don’t see them anymore. But just to think that she remembers me feeding a meter and now that is part of her history! I love summer time, and I love summer in New York. I also love how everything is a teachable moment for us! My children loved “driving the bus,” and performing other hands on activities and learning about engineering that is suitable for their level. Just a quick note about this museum: there is no place to buy food inside the museum however, they do have a lunchroom you can use to eat your own food. The lunch room is the only place to eat the food. I would say that part would turn someone off but since the museum is in DownTown Brooklyn there are tons of places to grab something to eat if you didn’t bring your own food! Is there a transit museum where you are from? 4 Comments on "LTML 28: All Aboard!" That is cool! I love history, where you can actually see and feel items from that moment in time. I don’t think we have anything similar but the new Civil Rights museum just opened and I think I am going to take the children before they go back to school. I heard it’s really good. 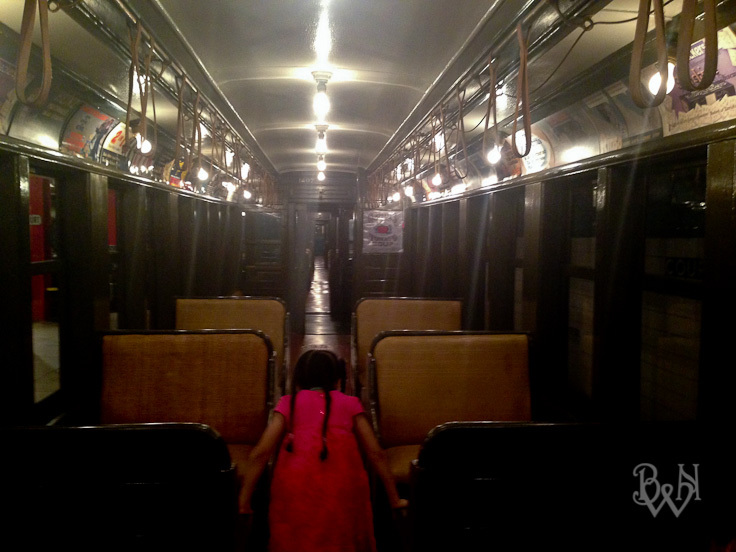 I never thought about what old subway cars might look like. Very cool! 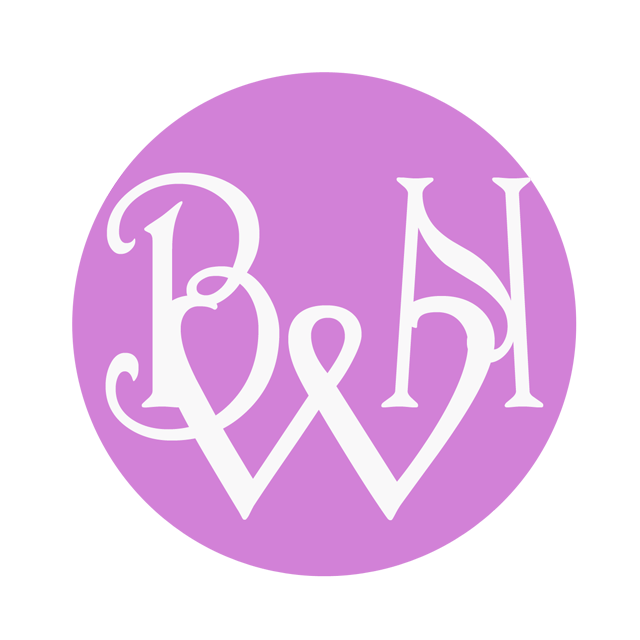 Oooohh…I think I would love the treat of getting something to eat from downtown Brooklyn. Probably so much to choose from right? 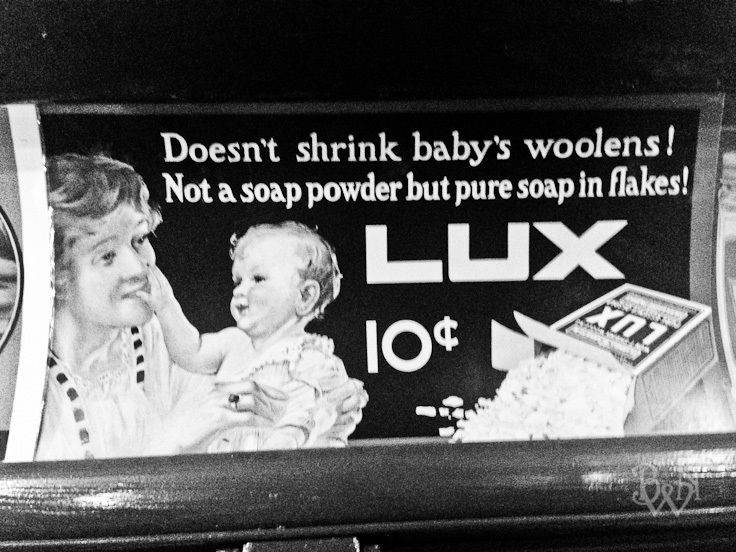 I love the old advertisements too. Hehe. Sounds like a very cool adventure for sure.